Novalja (pronounce novalia) on the island of Pag has become the last few years the most famous place in Croatia to party. It is known as the Croatian Ibiza and its the best place to have fun. 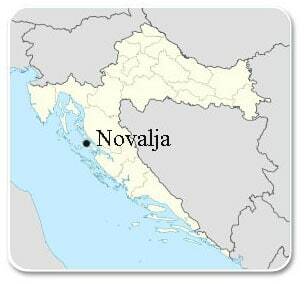 Actually Novalja is not so different than other villages in Croatia. What makes the difference is its beach called Zrče (pronouce zir-chai) situated 2 km from Novalja. Clubs on Zrće beach open from mid-june, but its the most crowded in July and August. At that time of the year until 7.000 people per day come to party on Zrče. Kalypso Club is the first club that has opened ont Zrće beach. During the day the club organizes beach volleyball and badminton tournaments. The after beach party begins in the afternoon and do not stop until dawn. They host some of the most famous DJ in the world. Aquarius Club has a restaurant, a beach bar, a swimming-pool and a pizzeria open until 6 am. Aquarius as well has made its reputation by hosting some of the best world DJ’s. Papaya Club has a restaurant, a VIP bar and a swimming-pool with water slides. During the day enjoy massages and cocktails, and later party all night long with the hottest DJs. Find here the 2018 program of Zrče beach for Papaya, Aquarius and Kalypso clubs. From Zagreb you can reach Novalja by bus. The ticket costs about 30 euros for a 5.30 hours journey. If you ever miss the bus or if it does not match your schedule take the first bus to Zadar, there are buses going from Zagreb to Zadar night and day. The price is about 17 euros for a 3.30 hours journey. What to do then? Check the category 3 – From Zadar just below. You can check schedules and prices of buses Zagreb-Zadar and Zagreb-Novalja on the web site of Zagreb’s bus station. Some bus companies will give you the possibility to book your ticket online, just click on the name of the bus company you are interested by to visit their web site. If you arrive to Croatia by plane and land in Split, take the bus that goes to Split bus station. There are buses going from the airport to the town center/bus station all day long, after each plane arrival. Then, once in Split, take the bus to Novalja with Antonio bus company. This bus will only have one stop in Zadar. If you come to Croatia by plane and land in Zadar, take the bus that goes to the bus station (it also goes to the center of Zadar). Then take the bus Zadar – Novalja (about 1h45 trip). The price of the bus ticket is about 10 euros per person. If you arrive to Croatia by car drive along the coastal road and take the ferry Prizna – Žigljen to reach the island of Pag (15 min journey) and continue to Novalja. The price of the crossing is about 2.30 euros per person and 13 euros for the car. Ferries are leaving every hour all day long. 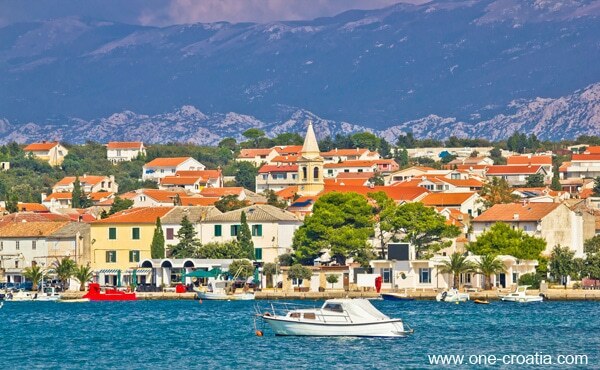 For more information on schedules of ferries from July to August and out of season, as well as prices of ferries please visit the web site of the Croatian ferry company Jadrolinija. For more information about itineraries please visit Via Michelin web site. To reach the Zrče beach take the bus that leaves every 30 minutes from Novalja. More information on Novalja city bus web site. Novalja became very fast one of the most popular places in Croatia. People living in Novalja aware of this sudden interest for their place developed apartments, studios or simple rooms in order to meet the fast growing demand for accommodation. You will therefore find a wide selection of private accommodatin in Novalja as well as in the villages nearby. Apartment, house by the sea, villa with swimming-pool, bed and breakfast in Novalja. Book you hotel near Zrče beach. 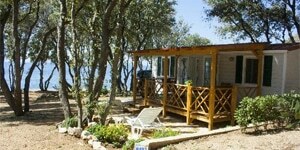 Camping situated just 2 km from the center of Novalja and 2 km from Zrče beach.